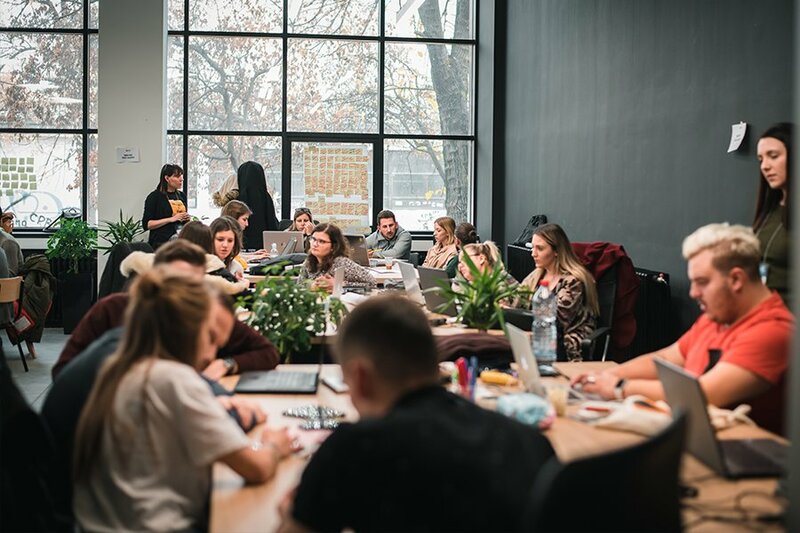 Ohridska Banka Societe Generale aimed to get closer to the millennial audience, by offering their services and products. 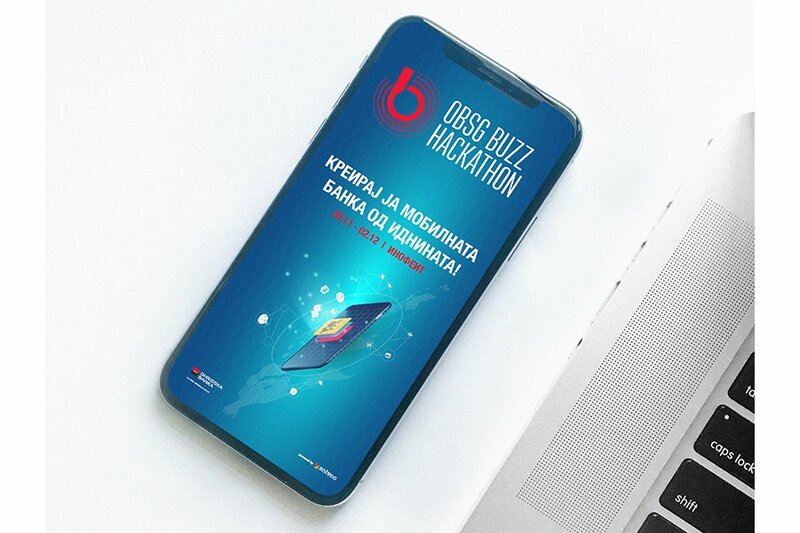 Due to the digital era and the tech savvy generations, together we decided that the most engaging and interactive way to execute this was to organize a crowdsourced-based event “hackathon”. Step #1: Define the target audience, gain insights about their preferences and habits, define the best way to engage them. Create strategy how to reach and interact with them. 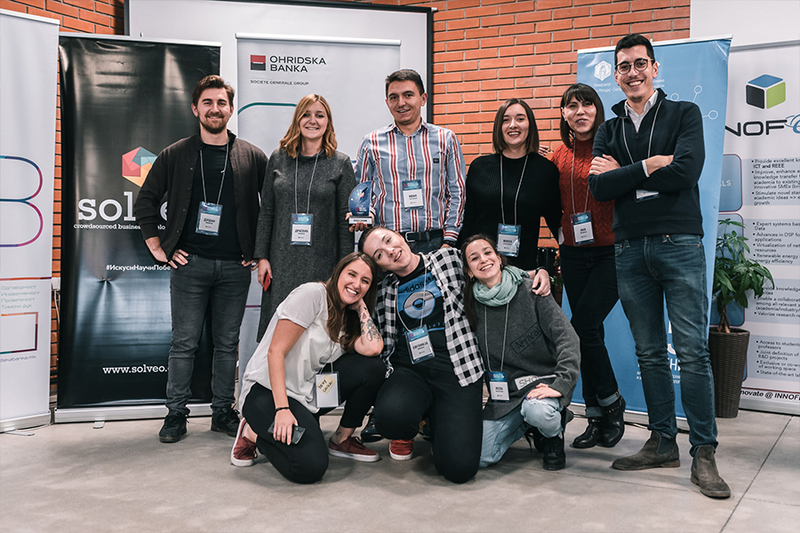 The defined target audience was determined as young and ambitious enthusiasts, who can contribute in the co-creation of the future of mobile banking. 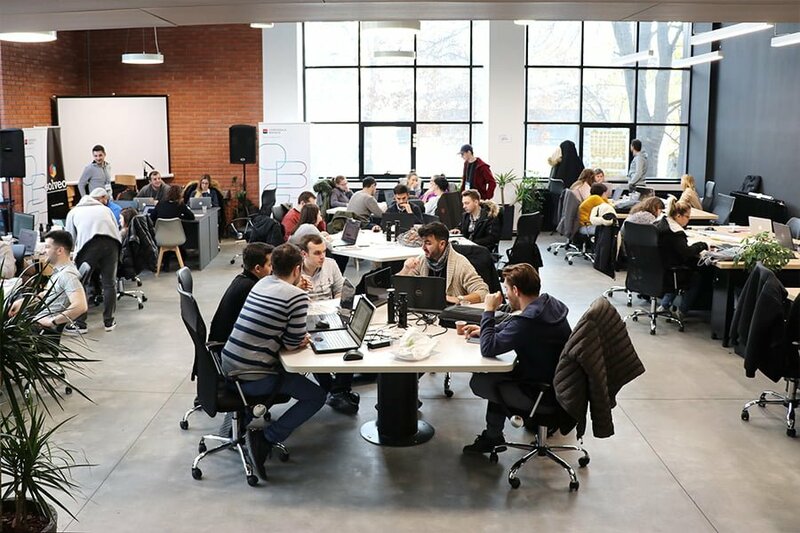 Step #2: Organize a crowdsourced based event (hackathon), where the targeted group will brainstorm and create innovative solutions for mobile banking. Continuously, was created a marketing and communication strategy for the targeted audience to create awareness about the hackathon/event. 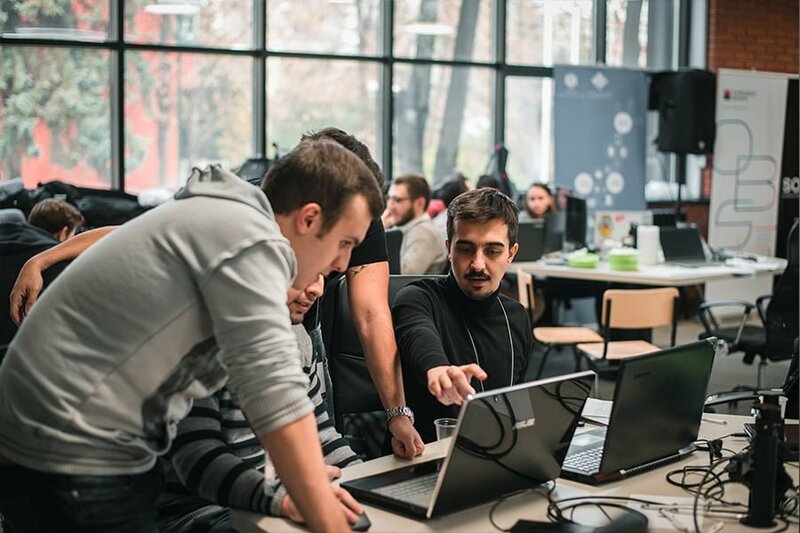 The activities of the hackathon were based on Design Thinking methodology, obtaining important guidelines for the teams. Step #3: During the event, the teams worked on developing their solutions and they presented them. At the end one winning solution was taken into further development by Ohridska Banka Societe Generale.